Clear Plastic Cake Cutter/Server. 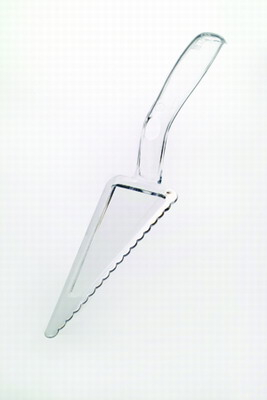 Made of a sturdy plastic, this cake cutter/server is perfect for cutting and serving any cake. No need to keep sharp knives around. Made of a sturdy plastic. Perfect for cutting and serving cake at you parties.